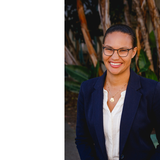 Alana Dillette is an Assistant Professor in the Payne School of Hospitality and Tourism Management at San Diego State University. Originally from the Islands of The Bahamas, she is always trying to connect her career and research to her roots through addressing issues specific to small island states and marginalized communities. Her research interests include issues around diversity and inclusion, more specifically looking at the intersection between tourism, race, gender and ethnicity. Alana Dillette changed their profile image. Alana Dillette updated their profile information.